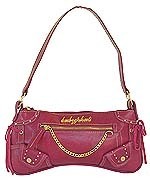 BabyPhat.com is having a sale right now on selected items from the Baby Phat jewelry collection. Buy online now and save 25%. You can save on a large selection of Baby Phat tees, tops and tunics, too. This is a great little treat for anyone walking around with a baby on board. The treat is that so many moms-to-be receive the obligatory, how life happens and what to do about colic books, but what future mom ever gets a maternity-focused fashion book. Advice from the book: "Never thought about a tee under a suit? Think again. Nothing is cooler. A vintage tee, especially with a little color under a black suit, is chic, playful and perfect for the office diva. A classic white tee is timeless." The Verdict: The book discusses true style in maternity terms that is hard to find in fashion books. 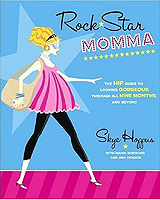 It also offers practical advice to use past the third trimester (including what to wear for stylish nursing attire). There are fun quotes and pieces of celebrity maternity wisdom from actresses such as Gwyneth Paltrow and Joely Fisher and secret tips from Kimora Lee Simmons. The information ranges from handling facial blemishes to dressing your baby for their first public appearance. There's even advice on how to look good at the gym. Baby Phat Plus Sizes Belted ski Jacket with Faux Fur Collar. On sale now at Amazon. $208.00 Sale: $113.99. Instant savings for you! All deals expire 11-30-07. 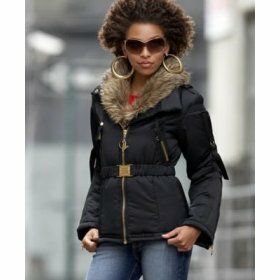 25% off Select Outerwear at BabyPhat.com! Literary wit and bon vivant Oscar Wilde said, "To love oneself is the beginning of a lifelong romance." This is the bedrock of beautyliciousness: self-acceptance. Self-acceptance and self-esteem are about being in love with you, about having the ability to truly appreciate your talents, beauty and uniqueness, and, above all, being comfortable with yourself. A bold update on a classic style. Features textured leather strap, pink dial with signature logo and crystal-studded stainless steel case. Also available with black strap/black dial. 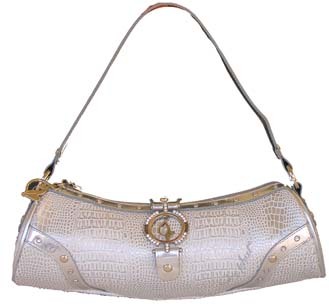 Think you can't afford the latest Baby Phat by Kimora Lee Simmons handbag? Think again. Bag Borrow Or Steal™ is a new service making it possible for you to always carry that "must-have" handbag." 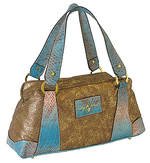 Choose from over 55 Baby Phat handbag styles and several levels of membership. 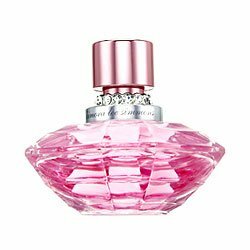 By popular demand, Blog Kimora is adding a shopping category which will feature links and info on where to buy popular and new Baby Phat by Kimora Lee Simmons items and other related stuff.